Sbarro is a chain of pizza restaurants with a colorful and interesting history, and there are stores in many locations, particularly within shopping malls and plazas. The concept of the restaurants really took hold in 1970, with the plan to create a place where you could get Italian food in an open kitchen with fast service. The success of this concept has led many to submit Sbarro applications for a career in the fast food industry. In 1956, Gennaro and Carmela Sbarro immigrated to America with their sons, and within the same year they had opened their first Italian grocery store in Brooklyn. The store became very well known for their supply of genuine Italian food and freshness. Before long they had opened a string of stores in many locations throughout the New York City metropolitan area. The first pizza restaurant was opened in 1970, in the Kings Plaza Shopping Center in Brooklyn. Due to the rate of success and growth, eventually the chain of restaurants was spread across America and in more than 44 countries around the globe. In fact, there are now over 1000 Sbarro restaurants. Predominantly the restaurants can be found in department stores, shopping malls, service areas, airports, college campuses and cinemas. Customers enjoy the pizza options they have and Sbarro employees make it a point to ensure customers are happy with their options. Their New York Style Pepperoni pizza is a utomer favorite and an iconic product for the company. There are a variety of benefits available for eligible employees working for Sbarro. These include medical, dental and vision insurances, flexible spending accounts for healthcare, prescription drug plans and dependent care assistance. Other benefits can include paid vacation time, and personal days. The hours of operation are generally Monday – Saturday from 10:30am – 9:00pm, and Sundays from 11:00am – 9:00pm. How old do you have to be to work at Sbarro? You must be 16 years old to apply for jobs at Sbarro. There are a variety of opportunities for Sbarro careers ranging from entry-level work to corporate and management positions. Some of the Sbarro jobs that don’t require qualifications of experience include cashier, pizza maker, team member, crew member and station attendant. For the position of pizza cook you may need some experience. Other Sbarro jobs that do require qualifications and experience include store manager, co-manager, general manager, field manager, shift supervisor and director of operations. Whilst most of the management roles will be located within the restaurants, some of these positions will be located at headquarters. Server – The main responsibilities of a server are to take care of the needs of the diner during their visit to the restaurant. Taking their orders and then serving them when they are ready is required. Keeping tables clean is essential and hygiene standards must be met. Excellent customer service skills are required, as is the ability to work under pressure. The average salary is around $8.43 per hour. Front of House Crew – The front of house crew are responsible for ensuring the customer is pleased with the service and enjoying the restaurant experience. Excellent communication skills are vital, and the ability to work with and support the team is essential. The average hourly wage is $8.00. Back of House Crew – Back of house crew are required to be well presented and wear the uniform, even though they do not have any dealings with the customers. The duties are varied and depend on what positions are available. Full training will be given for the position assigned. Overall you must ensure that the food going out to the customer is of a high quality and well presented. The average wage is around $7.95 per hour. General Manager – The main responsibilities of the general manager are to run the restaurant efficiently and effectively, from the front of house through to the back. The general manager is required to motivate and train staff to strive to increase the revenue, and this will involve working with the supervisors as well to ensure the targets are met. Training can be given to help with the progression through the company. The average salary is around $43,000 per year. Sometimes it is useful to prepare for an interview by contemplating what questions may be asked and therefore having the answers ready to give. What do you see yourself doing in the first few days of this job? Ideally you would spend the first few days familiarizing yourself with the job requirements, the staff, and the running processes of the restaurant. Learning as much as possible. Do you work well under pressure? This is a fast-paced environment, so there will be pressure. If you haven’t worked before, think of a situation where you were required to meet a deadline, or had many things happening at once, and explain how you dealt with the situation. What three character traits would your friends use to describe you? This is a question that is often asked by many companies, so it’s a good idea to ask your friends what they think of you. This should help you come up with three positive traits you can respond with. What are the qualities of a good leader? This will usually be asked if you are applying for a position that is of a management or supervisory nature. If you are unsure how to answer, try looking at job descriptions for those positions to see what the requirements are. Do you have any questions for me? It is a good idea to try and come up with at least 2 questions to ask the interviewer. This shows a genuine interest, and that you have thought about the position in depth. To be considered for hiring, you must submit your application in the appropriate way. 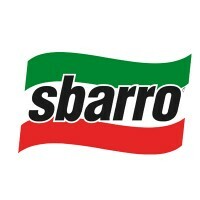 The official website will explain how to apply for jobs at Sbarro. Generally, if you go through their website careers section, the link will take you to an email address so that you may contact them. Alternatively, search for Sbarro jobs online through a third party website. There is no download application form and no printable application form. If you find a printable application for Sbarro, make sure it is authentic. To apply online you may need to create a profile with different sites. You can apply in the restaurant as a direct application, by filling in a form in store. Whether you apply in person or submit an online application, it is a free application and it is important to fill the form in correctly and honestly. If possible, attach a copy of your current resume and a cover letter. When applying in person, ask what job opportunities there are, and be well dressed and clean and tidy, as employment will be offered to those that make a good impression. Once you have submitted your Sbarro application, it may take a few days or a week to get a response. You can follow up the status of your application by approaching the manager of the restaurant, or by calling and asking to speak to the manager. Try not to do this during the busy periods of the day though. Pizza Hut: See this page for jobs at Pizza Hut. Mellow Mushroom: Visit the Mellow Mushroom application. Jerry’s Subs And Pizza: Checkout the application page for work at Jerry’s Subs And Pizza. CiCi’s Pizza: See our resource page for more information on CiCi’s Pizza careers. Fox’s Pizza Den: Use the Fox’s Pizza Den job application to apply here. 1 How old do you have to be to work at Sbarro?